I was browsing the blog recently and realized - Emilie! 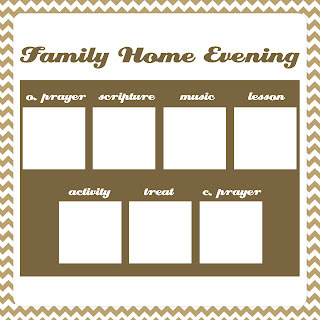 The people need NEW Family Home Evening charts! I mean, it's been two years! So here you go. Note: I cannot offer different colors of each chart - sorry! It's the nature of 'free'. Directions for printing and display below. 1. Click on chart with the number of members in your family for download. Follow directions and download to your computer.2. Crop black and white photos of your family to 3" squares (for 4, 5 and 6 member families) and 2.25" squares (for 7 and 8 member families).3. 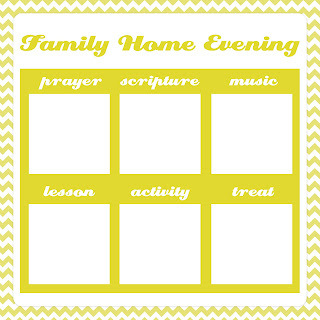 Print chart as a 12x12" photo at your local Costco 1 hr photo (for $2.99) or online at Scrapbookpictures.com (for $1.99 + shipping) . You must have a Costco membership to use their photo services. 4. 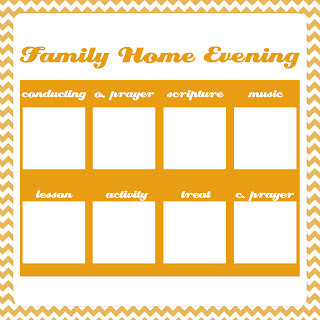 Take printed chart and photo squares to be laminated at your local copy center.5. Punch holes in top of chart and tie ribbon through to hang on wall.6. 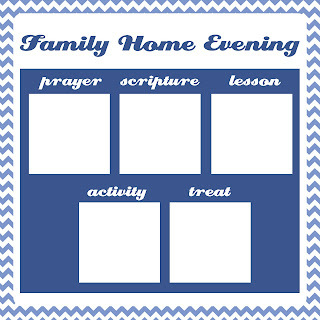 Affix photos to chart with blue poster tack. Rotate each week as needed. Love this idea! I will have to print one out for my family! Thanks for sharing this! Thank you! 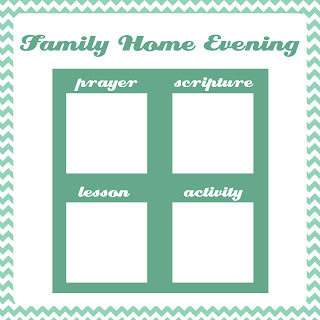 This will help our family so much!! We are always wondering whose turn it is to do what, etc. Plus, they are really cute! just printed all the pics from costco. thanks! Thank you for this! I want to start using it tonight so I just printed it on regular letter sized cardstock and will cut it out. Thank you!! !